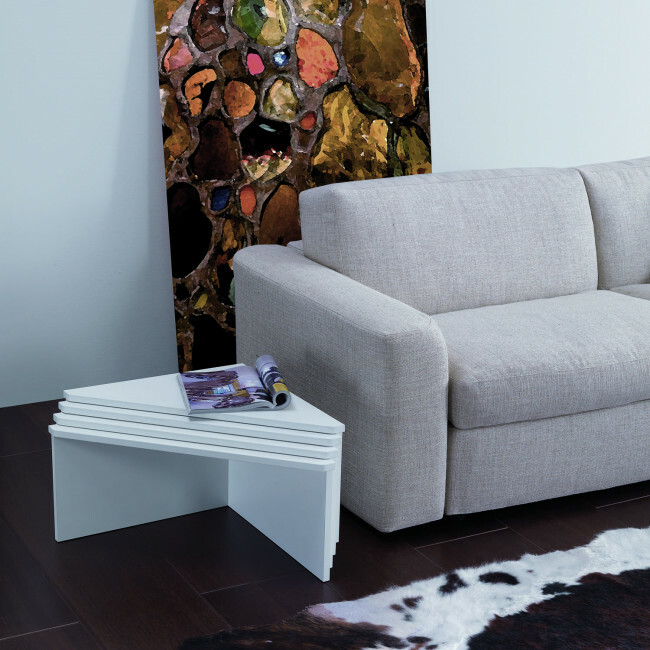 Tetris is a low triangular coffee table for the sitting room, which can be placed in front as well as next to the sofa according to your tastes, spaces and needs. It is entirely made of coated wood in 5 different finishes among which there is nadir-silk finish, which gives an informal and modern touch to the environment. 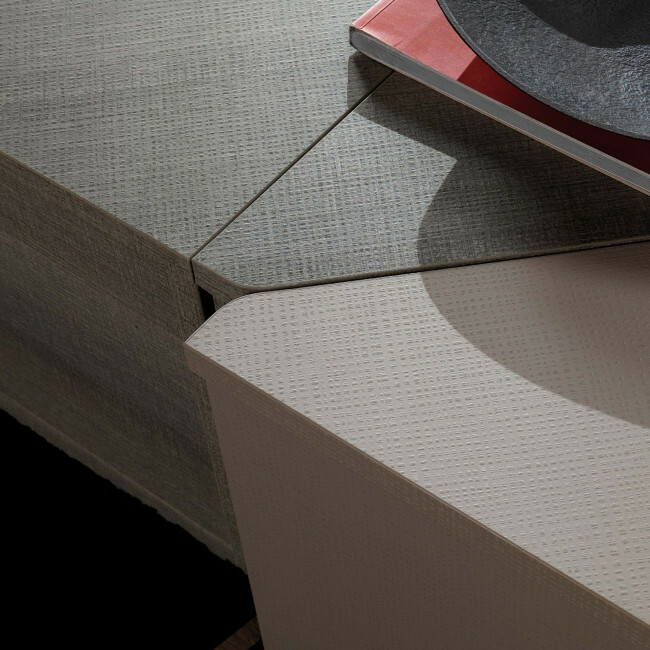 By matching more coffee tables you can create customized and original compositions; you can also match different colours which are strongly in contrast with each other. 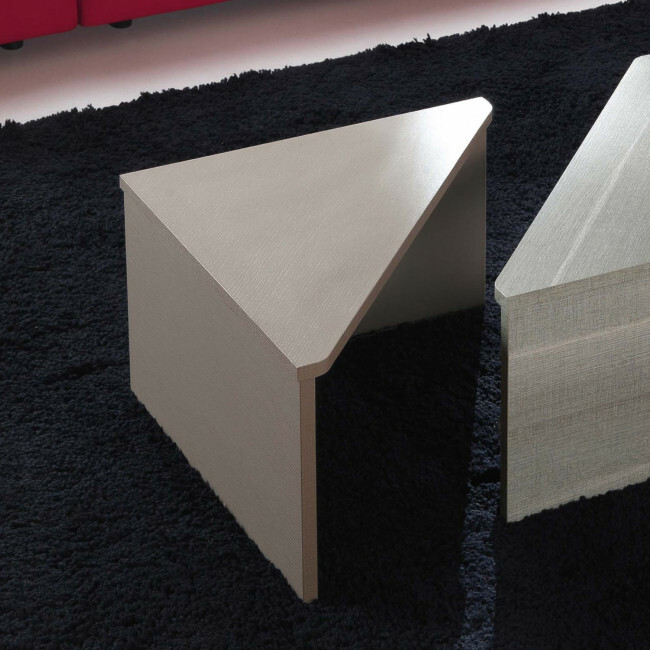 According to your needs you can either choose to use Tetris coffee tables separated or to stack them to save space. Use the product configurator to go through the available finishes and colours. 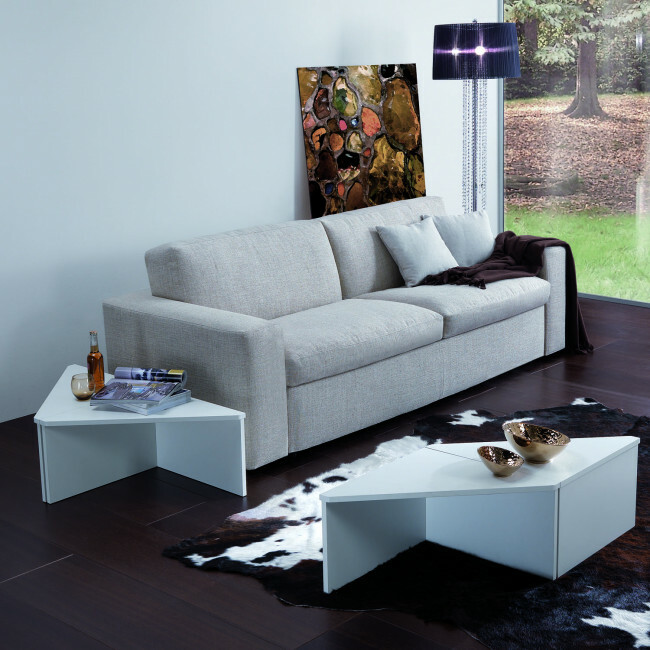 Tetris belongs to Maconi coffee tables collection. By visiting our shops and Partner Retailers you will receive professional assistance in creating the perfect furniture solutions for your own space. 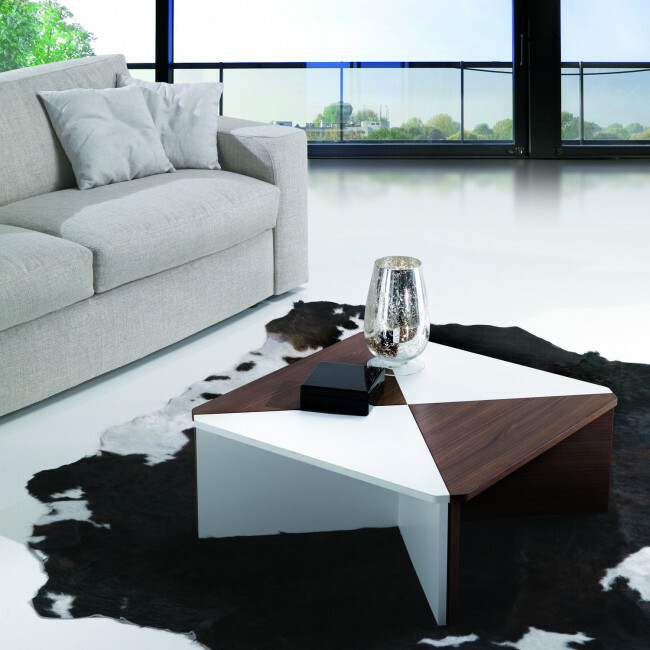 This coffee table can be customized according to finishes. You can find all customization possibilities by using the configuration menu.